Nokia Corporation (ADR) (NYSE:NOK) is not exactly loud and proud about it, but the company did post an announcement on one of its blogs Monday that it seems to be revealing a new Nokia phone handset early Wednesday morning (about 3 a.m. Eastern). What do we know so far? Not much, other than the announcement showed a “Z” key and a curved Shift key in a stunning gold color. Speculation around the tech blogosphere is that Nokia Corporation (ADR) (NYSE:NOK) will be unveiling a new phone – but there is debate as to what is being revealed: Will it be a QWERTY-based Lumia handset, or more of a feature phone like the Asha line but with a Lumia color scheme? Whatever it is, it seems to have caught Nokia watchers a bit off-guard. While CEO Stephen Elop has mentioned that the company was going to put out several devices this year – including what he called a “hero” device – it seems that much of the discussion behind the scenes has revolved around the strong possibility that Nokia would soon release a larger smartphone – a five- or six-inch “phablet” device that would run under the Lumia name and run the Windows 8 operating system by Microsoft Corporation (NASDAQ:MSFT). However, the look of this new Nokia phone seems to suggest that it could be just a new member of the lower-end Asha feature-phone line. However, either the Lumia or the Asha stables have been deficient in QWERTY keyboards for several years, so this is certainly getting some attention around the tech world. 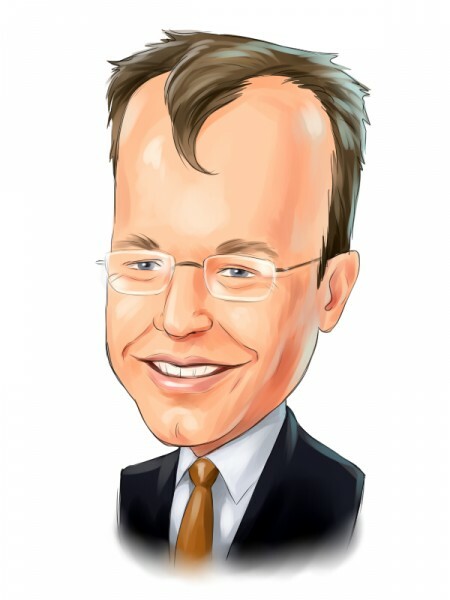 What would be helpful for Nokia Corporation (ADR) (NYSE:NOK) this time around is to handle things a bit better than it handled its major Lumia/Windows Phone 8 launch last fall. This time, Nokia should not only reveal the phone, but also give some details as to when it will hit store shelves, but the suggested retail price would be, and mention any wireless carriers that have signed on to carry the new handset (if any). Those little details left many in the media wondering about the Lumia line before, and that likely affected some sales initially because there wasn’t that care in developing anticipation for the new devices. What do you think? Is the new Nokia phone going to be a QWERTY Lumia device that would have a higher margin, or is this a fancy new Asha device designed for emerging markets? Which do you think about be a better play for Nokia Corporation (ADR) (NYSE:NOK) at this point? Let us know your thoughts about the new Nokia phone in the comments section below.